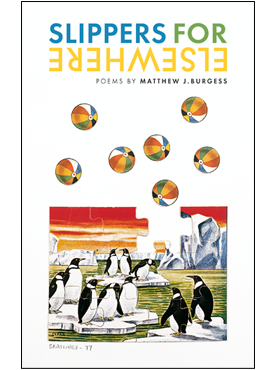 Matthew Burgess teaches creative writing and composition at Brooklyn College. He has been a poet-in-residence in New York City elementary schools through Teachers & Writers Collaborative since 2001, and currently he is completing his PhD at the CUNY Graduate Center. His work has appeared in various magazines and journals, and he recently received an award from the Fund for Poetry.